We welcome you to join our business platform! The B2B.MODASTRASS.DE site is The wholesale ECOMMERCE portal to buy SWAROVSKI ELEMENTS in industrial bulk packaging. Exclusively Business-to-Business for professional manufacturers as well as resellers and traders. In all cases you will have to proof your Business Status. For european companies this is very easy as long as they provide a verifiable VAT number! In some particular cases we may ask for company registry, certificate of incorporation,copies of memorandum & articles of association, certificate of good standing, trade references as well as other necessary documetation as proof of your sound entrepreneurial status. 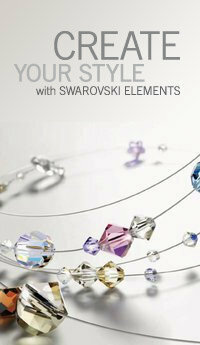 click here to open a SWAROVSKI ELEMENTS Trade account!